Ever wanted to know what a Terminator crossed with a dinosaur sounds like, but were too afraid to ask? 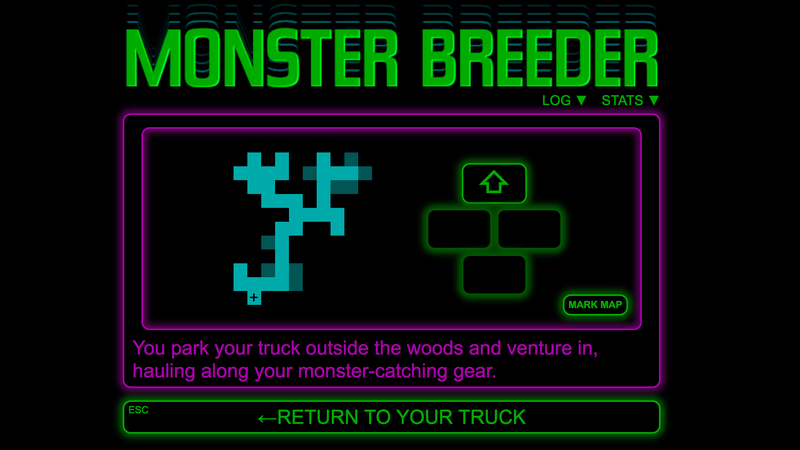 Well, now you can find out for yourself with the simple yet addictive new game Monster Breeder, which comes to us from musician, animator, and creator of popular internet things Neil Cicierega. Like everything else Cicierega creates, Monster Breeder is something you didn’t even know you needed in your life until it existed. “You are a monster breeder.” From that succinct introduction on the title screen, you set off from your ranch into uncharted territory, capturing and crossbreeding traditional monsters like ghosts, Gremlins, Predators, and Freddy Kruger into “exciting new creeps and fiends.” These horrific abominations can then be sold off to eager customers and the resulting profits are used to purchase better monster catching gear. Of course, this adventure wouldn’t be complete if it weren’t accompanied by a sweet synth score. “Monster Breeder started on January 20th as the words ‘monster breeder’ popping into my head,” wrote Cicierega in a recent tweet. “I started a spreadsheet and started inventing monster hybrids and now it’s a fully playable browser game!” Considering it was only a matter of weeks from conception to a finished product, Monster Breeder is a triumph. Now, get out there and start playing. These monsters aren’t going to breed themselves.